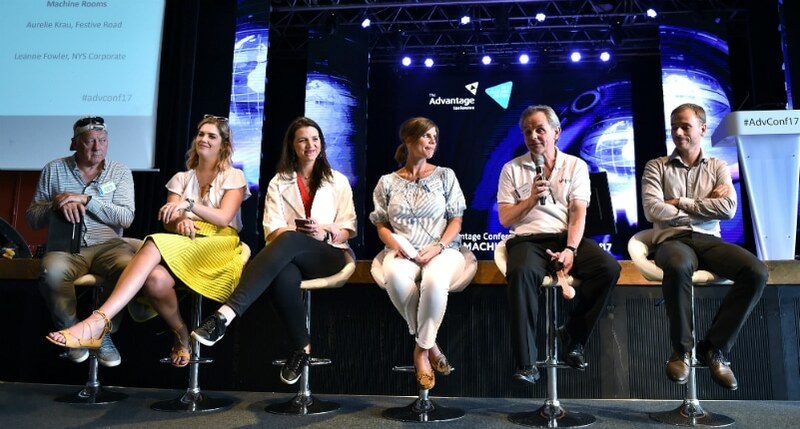 Every year, Advantage put on the much-anticipated Advantage Travel Conference (ATC) aimed at bringing the latest business travel news and the opportunity to network with industry leaders such as Monarch and Jet2 Holidays. Last weekend, our Managing Director was invited to pitch our Translation for Travel app to over 100 top travel corporates in Provence, Nice. This year’s theme was ‘Machine and Man’, which explored travel’s relationship to technology and people. Over the 3 days of talks, Advantage and its speakers were asking the question: how will the powerful combination of smart technology and human service enhance the world of travel? whym is already a product of this revolution. What better place to showcase our app? Marcus took to the ATC ‘Machine Room’ stage with a (useless) giant pink telephone; that got the audience’s attention! And now for the real demo: he opened the whym app, tapped one of our 13 languages and as if by magic, a live, human, interpreter answers the phone. Thanks to technology, we no longer need to carry a giant pink telephone around with us, but the message is still the same: if you’re in trouble or at a business meeting- wherever you are in the world, whatever time of day it is- you can be connected to a live, professional interpreter in under 60 seconds. The result? They love it. After 12 tough rounds of pitching against top travel tech companies, the delegates announced whym and Amadeus, a major European IT Provider for the global tourism industry, joint winners for being the most innovative travel tech solutions. Nice work, pink telephone! Watch this space, whym is set to take the travel industry by a storm.